Bellini’s are one of my very favorite cocktails. But I’m definitely a champers kinda gal. If you’re not into champagne, you can trade out the champagne for sparkling wine or prosseco too! And the best part….? They are soooo simple to make! No crazy ingredients, no complicated mixing steps, no wait time. Pour and enjoy! I’ve also added an extra little detail to my drinks, that are really easy and yummy! 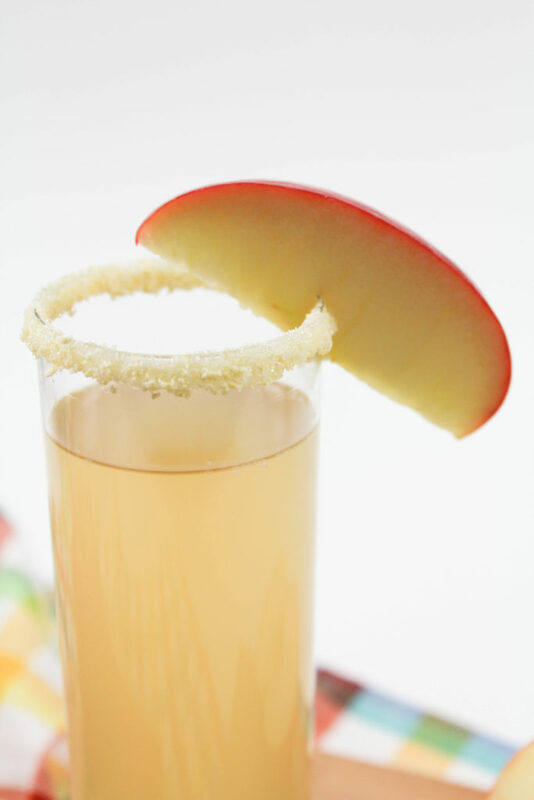 These apple flavored sugar rims on the glasses are optional, but I think it gives them a really pretty finishing touch and adds even more of that fall apple flavor! The cocktail is easy and fast to make, so I like to prep my glasses in advance and have them all ready so that all you have to do is pour, when you start mixing the drinks. 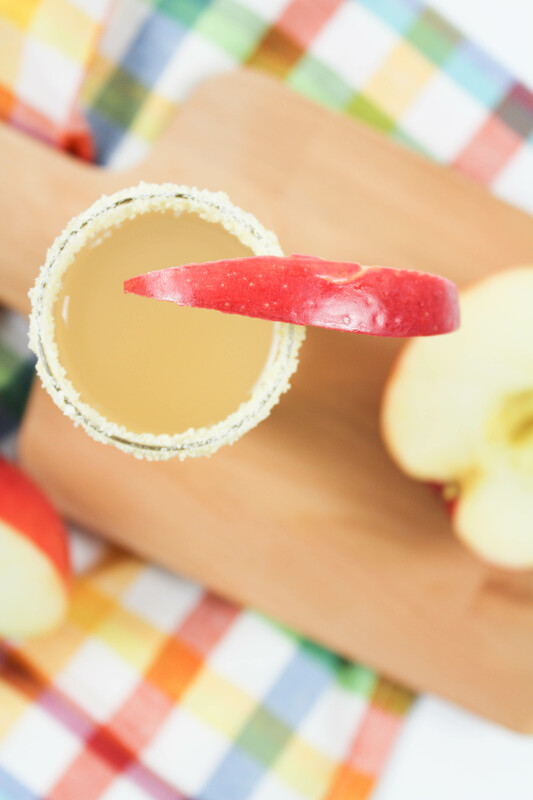 To make the delicious apple sugar rims, add your freeze dried apples to a food processor and chop until they are very fine (as close to the same consistency as the sugar). Once your fruit is done, pour it onto a plate and add an equal part of granulated sugar. Mix well. 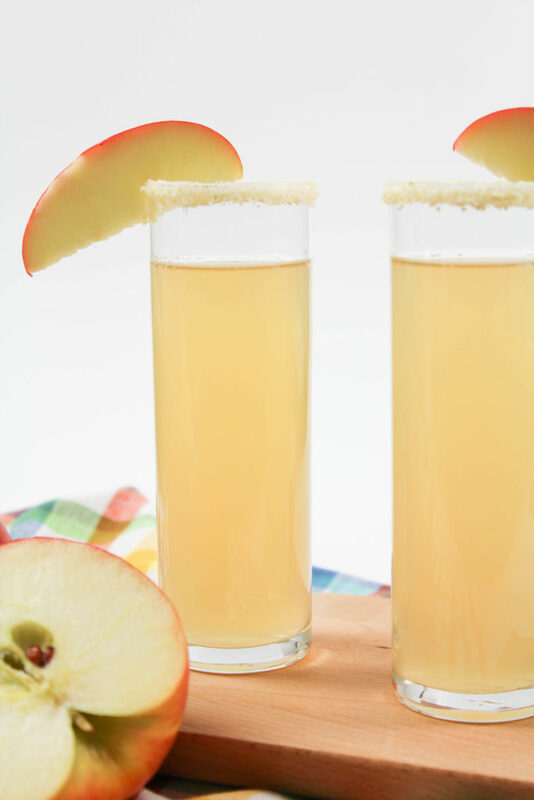 Pour some apple cider onto a separate plate. 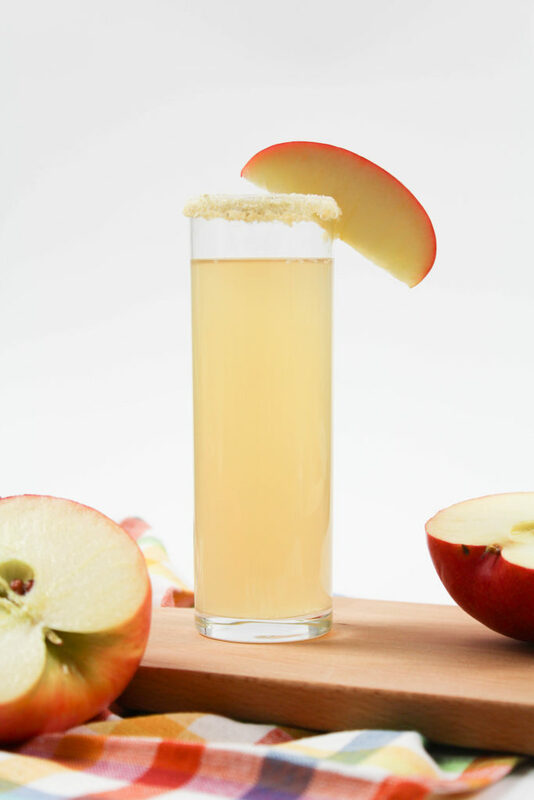 Invert your glasses and dip the rims of the glasses into the apple cider. Let the extra cider drip off and then dip the cider rims into the apple and sugar mixture. Coat the rims so that they are fully covered and set aside. Next up, let’s make those cocktails! Pour in champagne to fill the glass. Add an apple slice to finish off the cocktail and serve! 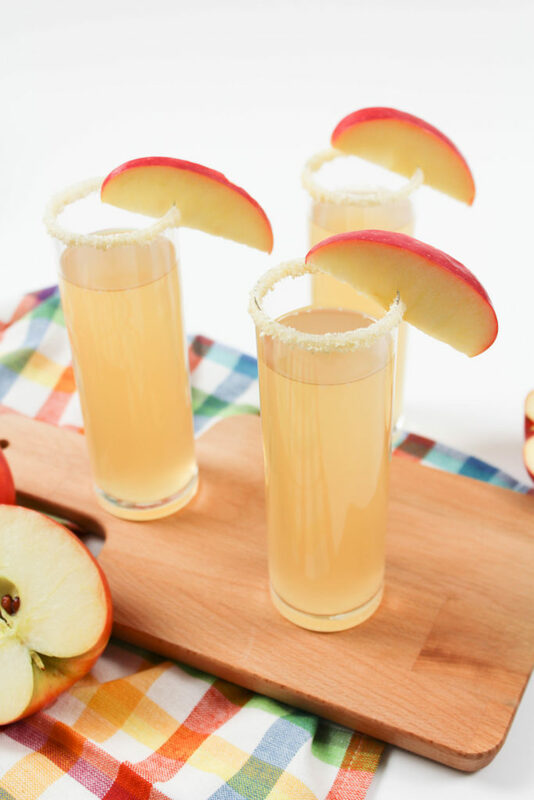 These apple cider Bellini cocktails are delish and the perfect autumn drink to add to your entertaining menu! 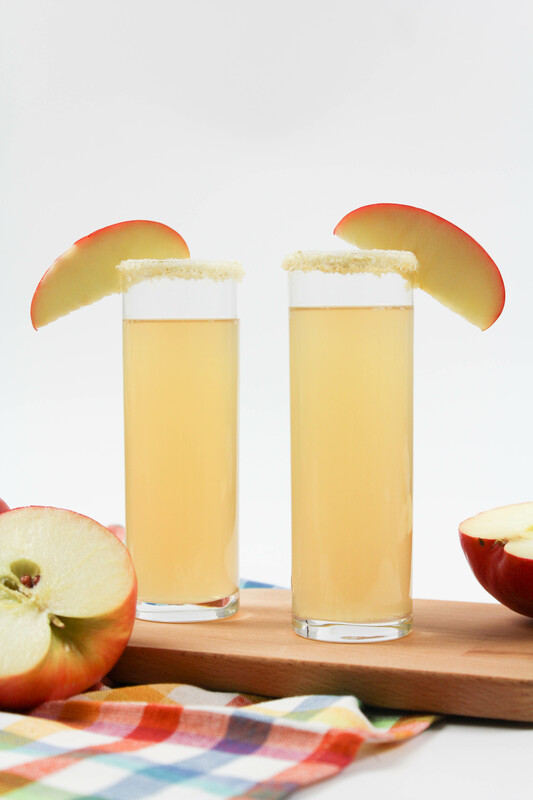 You can also make your own homemade apple cider. Check out the recipe here! This is another great apple recipe that I love too!